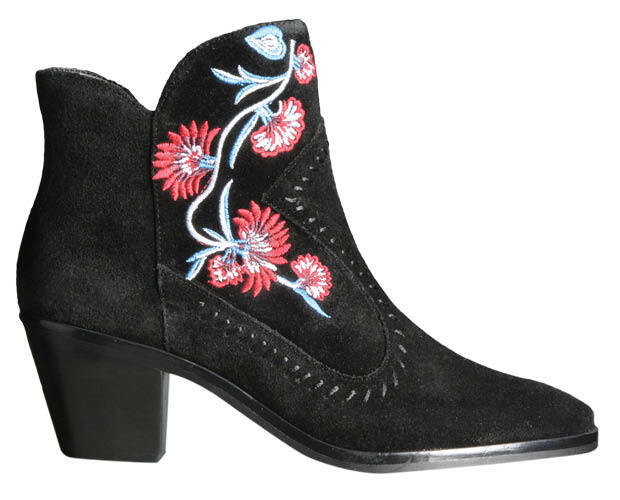 Rebecca Minkoff embroidered bootie, $225, Saks Fifth Avenue. 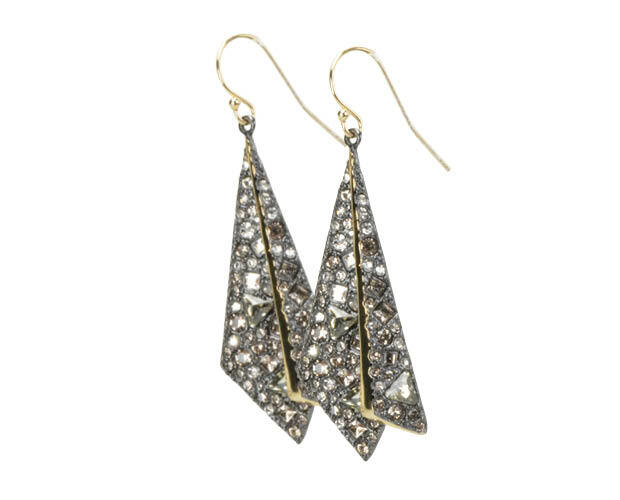 Alexis Bittar pointed pyramid drop earrings, $175, Saks Fifth Avenue. 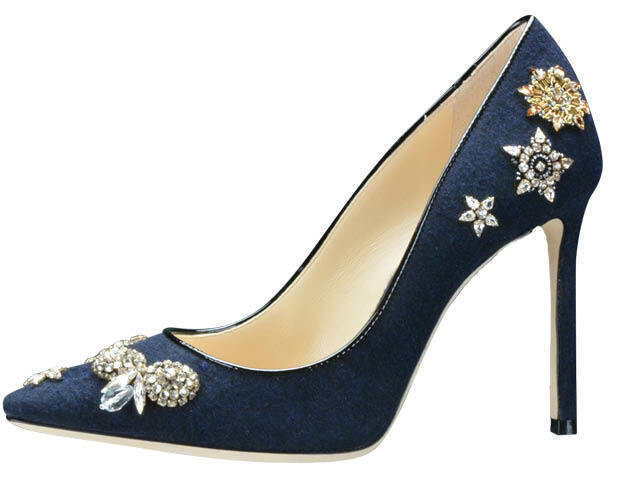 Jimmy Choo navy patent pumps with embellished badges, $1050, Saks Fifth Avenue. 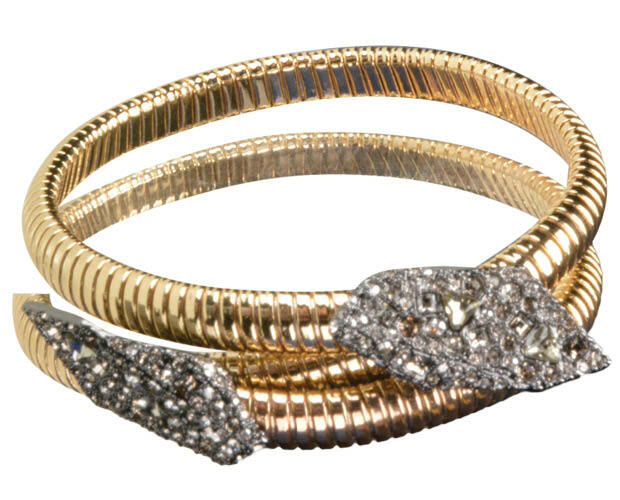 Alexis Bittar crystal-encrusted coiled origami bracelet, $225, Saks Fifth Avenue. 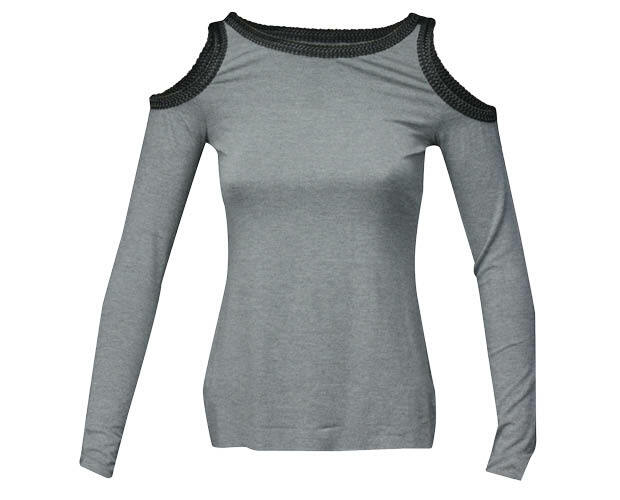 Bailey 44 cold shoulder top, $158, Saks Fifth Avenue. 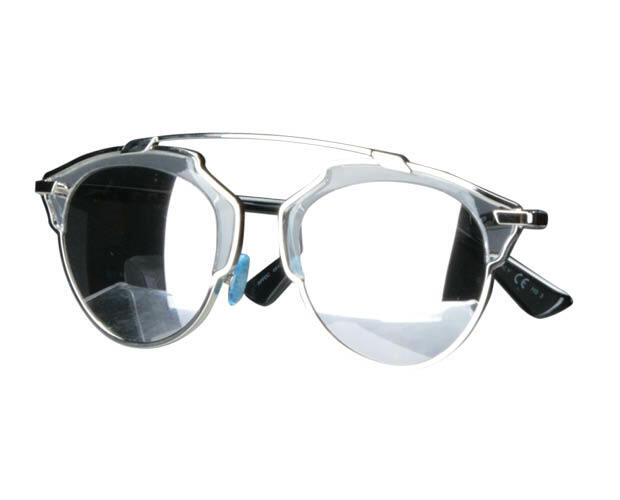 Dior sunglasses, $560, Saks Fifth Avenue. Jimmy Choo black cutout heels, $1250, Saks Fifth Avenue. 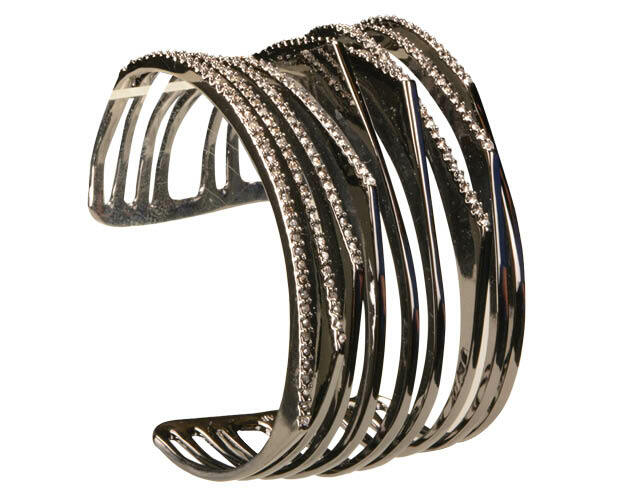 Alexis Bittar crystal-encrusted origami peeks cuff bracelet, $275, Saks Fifth Avenue. 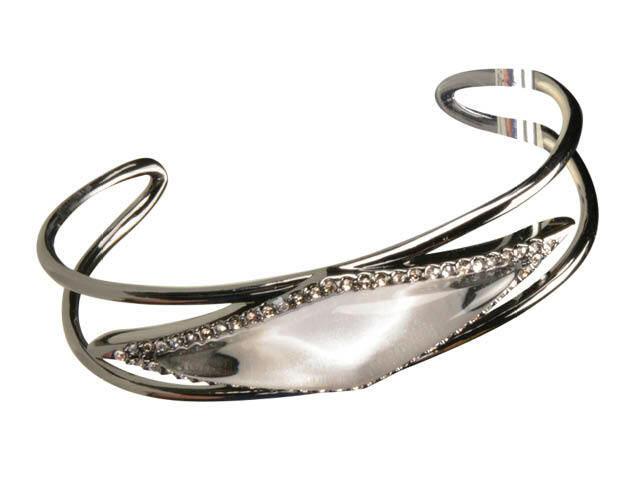 Alexis Bittar crystal-framed lucite cuff bracelet in polished silver, $145, Saks Fifth Avenue. 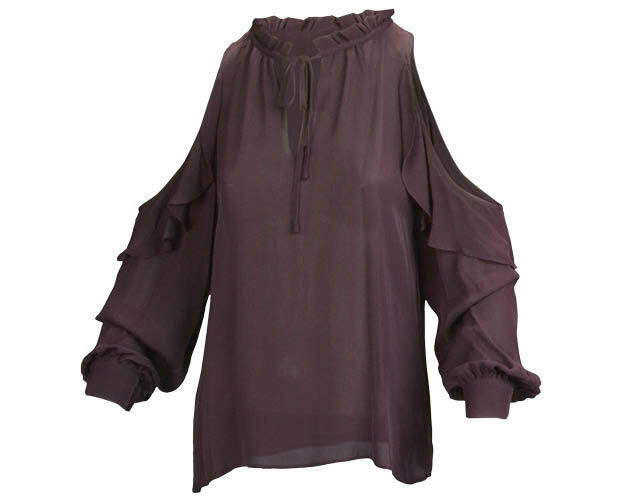 Parker cold shoulder blouse, $220, Saks Fifth Avenue. 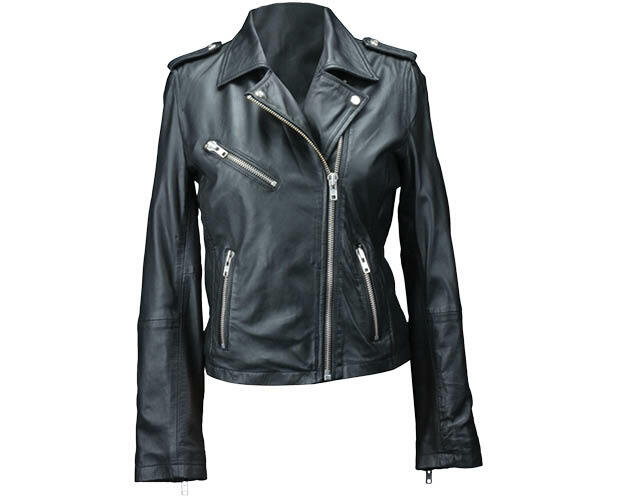 Bailey 44 fishnet top, $128, Saks Fifth Avenue. 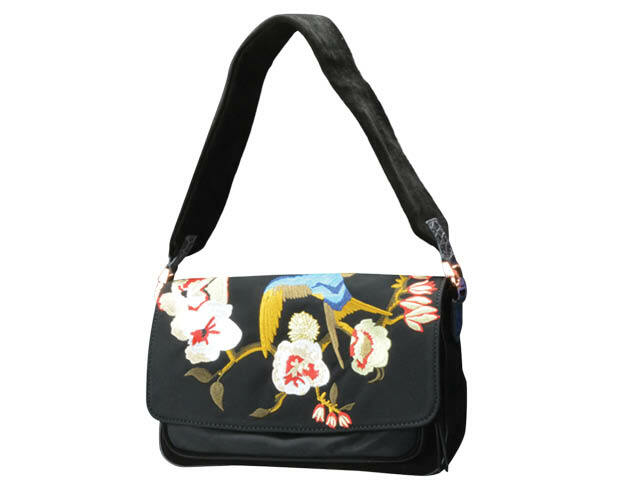 Elizabeth and James shoulder bag, $495, Saks Fifth Avenue. 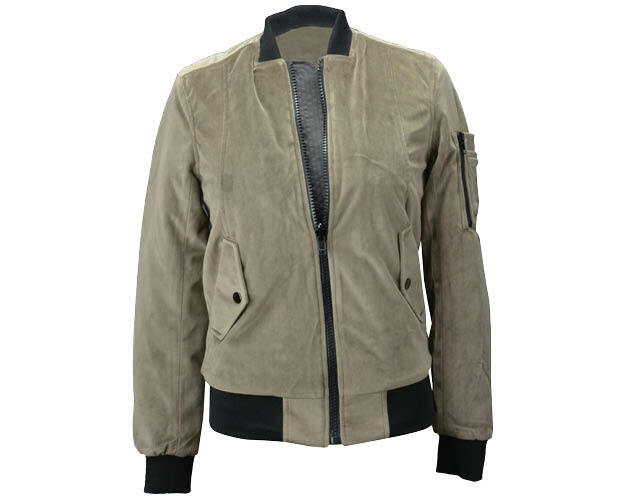 John + Jenn velvet bomber jacket, $198, Saks Fifth Avenue. 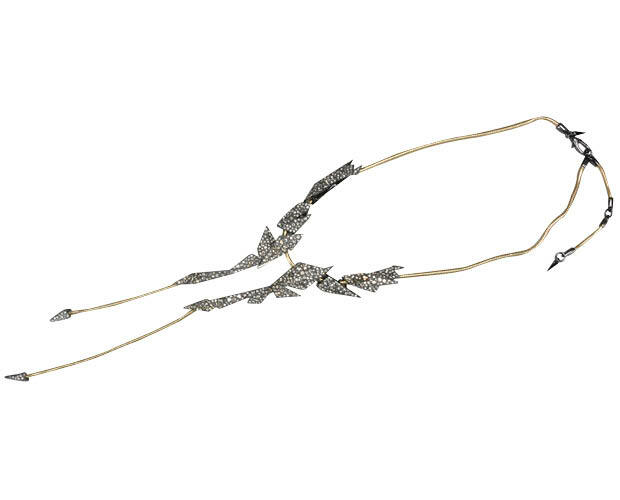 Alexis Bittar crystal-encrusted necklace, $395, Saks Fifth Avenue.